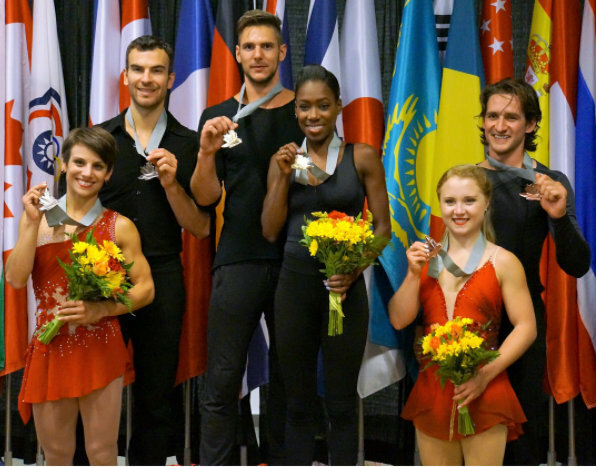 Bermuda-born Vanessa James and Morgan Cipres competed in their first figure skating competition of the season, earning a victory at 2017 Autumn Classic International in Canada. The pair, who represent France, topped the table with a score of 210.48, with Canada’s Meagan Duhame and Eric Radford finishing second with a score of 202.98, while Julianne Seguin and Charlie Bilodeau also from Canada finished third with a score of 189.64. Awesomeness and power with bluesy brooding. V and M are too hot.